US President Donald Trump congratulates Raila Odinga for being vocal in matters affecting Africa in the White house. - Bana Kenya News, Real African Network Tubanane. Home featured Nairobi US President Donald Trump congratulates Raila Odinga for being vocal in matters affecting Africa in the White house. US President Donald Trump congratulates Raila Odinga for being vocal in matters affecting Africa in the White house. 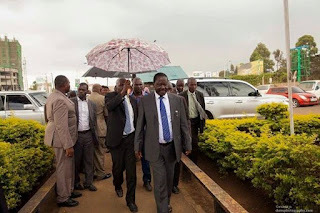 The ODM leader Raila Odinga who went to S. Africa then later flew to America came today morning and he was welcomed by Turkana Governor Josphat Nanok, Mombasa governor Hassan Joho, Wiper leader Kalonzo Musyoka, Mp Junet Mohammed, Senator Johnstone Muthama, TipTip leader Kalembe Ndile, Senator Bon Khalwale, Musalia Mudavadi and senator Omar Hassan at Jomo Kenyatta international Airport. Raila Odinga who has been away for close to two weeks attended his daughter and later had a special invitation to the white house. According to critics, the opposition leader was to be alerted according to what the US president spoke on phone to the President of Kenya. He is the second leader in Kenya to step white house in the President Donald Trump reign. 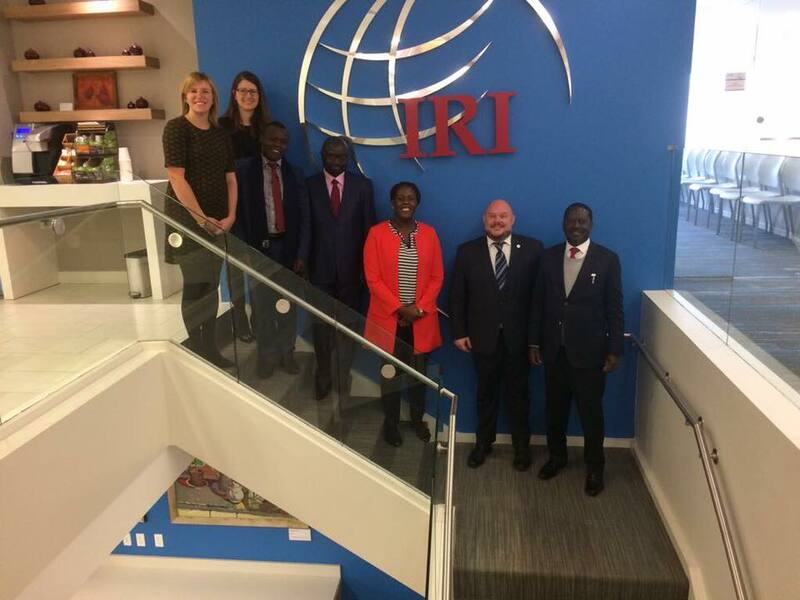 The first leader who visited earlier was the Mombasa governor Ali Hassan Joho who attended a youth radicalization world workshop in Washington DC later invited. 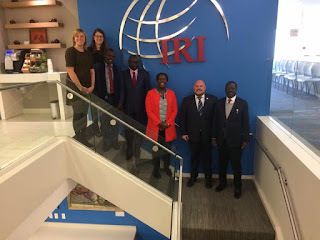 He also met officials of the International Republican Institute where they discussed matters of mutual interest to Kenya and the US and later visited The Atlantic Council where he held discussions with the top leadership led by Mr Peter Pham. The Opposition leader also met the US president Donald Trump where they discussed on issues affecting Africa especial Corruption. The US President urged the African leaders to fight against corruption for them to regain the trust lost against western countries. President Trump assured full support to Kenya and may reconsider the health donation that was promised to Africa by the former US president Barack Obama.